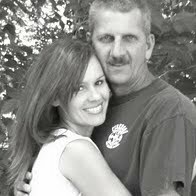 I'm Diana and my husband Johnny and I have been married for 20 years. We have 4 wonderful kids that we love more than life. They are our pride and joy, and our greatest blessing. When we first married and started a family, we dreamed of one day finding our perfect home, nothing fancy, just an old home with lots of history and character. 15 years later, we finally did. It's a perfect fit for our family and a blank canvas for our passions.